Meaningful Dallas Cowboys football is just around the corner. The September 11th home opener against the Giants is just 11 days away, which is probably close enough for many members of Cowboys Nation to have already made their plans for the big game. The Dallas Cowboys' plans leading up to the regular season are pretty set, with one more preseason game to be played tomorrow night against the Houston Texans. By 10:30 AM this morning, an optional bus will be bringing Cowboys' players, coaches, and staff members to AT&T Stadium for their annual Kickoff Luncheon. The event will begin at 11:30 AM and run until 1:15 PM. You can watch the Cowboys' Luncheon live on DallasCowboys.com. Ten hours later, the Cowboys will be in game mode, with their 11:00 PM curfew leading them into Thursday. Tomorrow's usual pregame walkthroughs will begin at 10:00 AM with the special teams unit at The Star, followed by the offense and defense from 10:30 AM to 11:00 PM. By 4:45 PM, the team will have arrived at their home field, with the in-state rival Texans awaiting them. The Cowboys' final 2016 preseason game kicks off at 7:00 PM. TV: Local listings - Cowboys Nation has been lucky over the past three weeks, as the team's preseason games have found their ways - in different capacities - onto national networks. Unfortunately, this showdown against the Texans will only be available locally. We recommend following us on Twitter @CowboysNation for further updates on what channels will be carrying the game. Streaming: NFL Game Pass - With the preseason coming to a close, it is still not too late to sign up for a free seven day trial of NFL Game Pass. With Game Pass, you will be able to live stream the game, and listen to every regular season game with local radio broadcasts. Radio: 105.3 The Fan - The radio home for Dallas Cowboys football will be on hand to bring Cowboys Nation this game over the airwaves. Important roster decisions are going to have to be made for the Cowboys after this game, and as always Inside The Star will keep you updated. However you take in tomorrow's game, enjoy yet another milestone on the path towards the 2016 regular season. Dallas Cowboys football is here to stay for a while. Let's go! 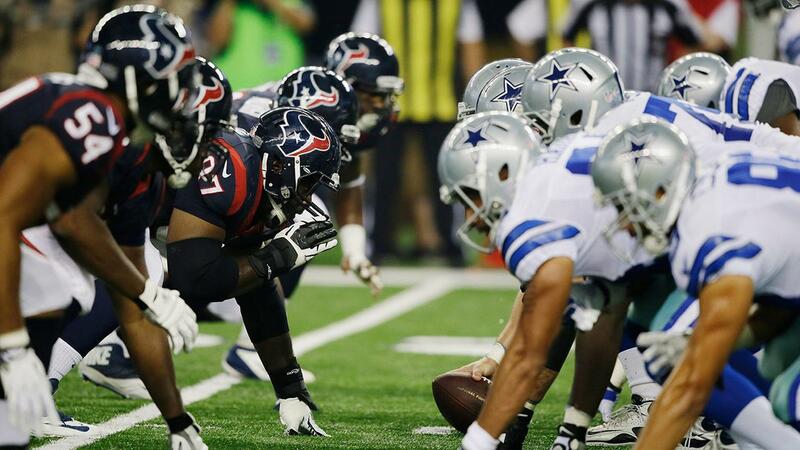 Tell us what you think about "Cowboys Vs Texans: Team Itinerary and Broadcast Information" in the comments below. You can also email me at Sean.Martin@InsideTheStar.com, or Tweet to me at @SeanMartinNFL! What Could Quarterback Austin Davis Bring To The Dallas Cowboys? Who Benefits Most With Dak Prescott At Quarterback?